We are thrilled that Betsy Box, Director of The Bedford School came by the store yesterday! 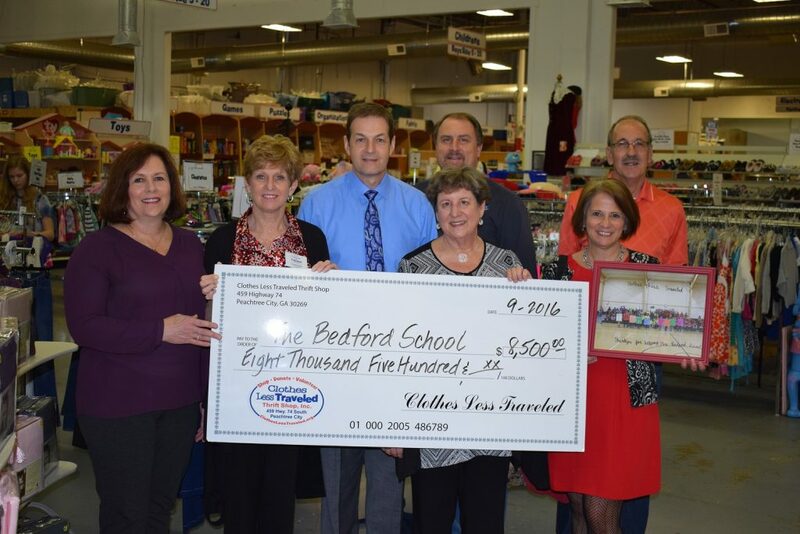 The Bedford School was a 2016 Clothes Less Traveled grant recipient. The grant made it possible for the school to purchase bleachers for their gym. Betsy also brought a “Thank You” picture from the students taken on the new bleachers.